The Invoice Factoring Process – Are you prepared? The speed with which your company is initially funded is in part down to you. You frequently hear about how easy it is to factor your invoices, and it certainly can be, but promptly providing the correct information requested from your factor helps the process run smoothly and quickly. So you are seriously considering invoice factoring, and of course you want to be funded as quickly as possible. As we have mentioned before, an experienced factoring company wants the same for you, but will not compromise standards to push funds through quickly, which really works in your favor in the long run. 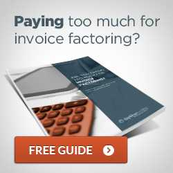 Invoice factoring should never be considered a last minute answer! When you initially contact an accounts receivable factoring company, a specialist will listen to your needs, and ask you questions to establish your situation and help you through the application process. 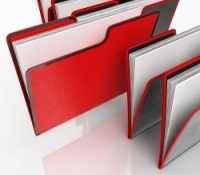 In order to be prepared, have your audited financial statements or tax returns ready for your factor. Have you paid your taxes, and if not, have you negotiated a payment plan, or agreed to pay in the future? This information will have some bearing on your eligibility to receive accounts receivable loans. Your unpaid accounts receivables or invoices will need to be submitted to the factor and verified. While the factor is most concerned with the credit history of your customers, your validity as a company must also be established. Accounts receivable financing really is a simple process, but as you progress through the steps with your factoring company, there are likely to be unique situations, which will need to be worked through. An open mind, and a willingness to work with your factor by providing all the necessary documentation will create a great working relationship and you will be aware of what you will need to provide to finance new invoices moving forward. The beauty of invoice factoring is that each factoring company has its own set of procedures in place, so it is worth researching companies carefully to establish their level of experience in the industry and what it is they require in order to make the accounts receivable loan. Consider the proven track record in your industry, and research what level of service you are looking for, from simple factoring to more in-depth help. Check what extra services they offer. Consider a little more initial effort to be a good thing. The knowledgeable factor wants to protect the interests of every party involved in the process.